This area deals with switch interfaces for PCs. 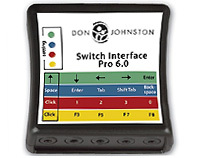 OneSwitch interfaces will work with most software as they make your switch act as a Joystick, Mouse or Keyboard..
Click on the images below for more details on each controller and where you can purchase these from. Please feel free to e-mail for help on anything that is unclear, or to share new information. PC and Xbox Adaptive Controller compatible joystick and 1-8 switch socket interface. 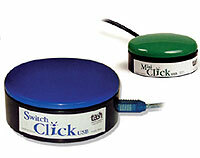 Crick Software's excellent robust switch interface. 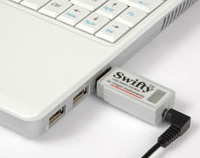 Very easy to set up and use for both PCs and Macs. One of the simplest switch interfaces. Five switch sockets that can be set in one of four different modes. Great for standard switch access, although won't work on everything. 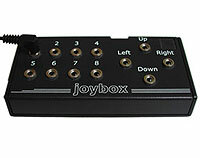 A simple two socket switch interface that should be compatible with JoyToKey. 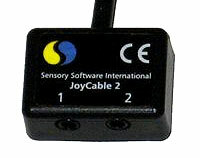 A 12 socket switch interface that should also be compatible with JoyToKey. 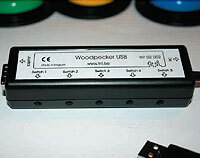 The most compact switch interface available for PCs. Works with up to two wired switches with an additional adapter, or three wirelessly through "Beam", this interface can output mouse clicks, joystick buttons or keyboard functions. 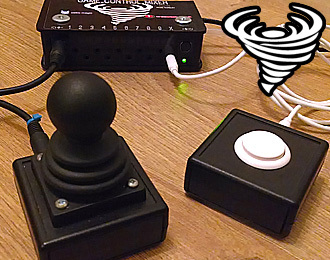 Compatible with JoyToKey in Joystick mode. 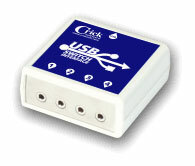 One of the simplest switch interfaces available, whereby the switch plugs straight into a USB port. 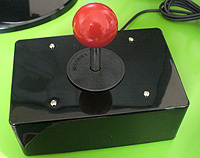 D9 Atari style joystick and five switch interface for USB devices. Appears as a joystick device.